Founded in 1998, Moore Media has been a provider of unique, media services for over two decades. Our principal business is stand out, professional award winning web design, graphic design, social media strategy, marketing & consultation in NJ & PA. Whether it's building social media sites, website design, hosting, print media design, marketing and promotion, search engine optimization, marketing consultation, technology research or any other goals, we assure that clients are fully satisfied and engaged with our results. Important factors when designing is a focus on usability and functionality with concept. We are confident in our ability to replicate and create unique design elements. We have proven to be innovators and adept with various creative requests. Moore Media has implemented e-commerce, asp.net, php and traditional websites, developed social media websites and various graphic print works. User experience in our view comes from great vision, and having the ability to understand what works. Our team is well versed in online applications as has a keen eye for how the user thinks and what needs to be implemented for a positive user experience. Follow up after project completion is key, staying on track is important, staying relevant is vital. We do all of this well. Moore Media has deployed websites where we have managed the entire sites content and also sites where there is a partnership of collaborative authoring. We feel the timely turnaround of updates is critical as the users are very fickle to outdated website content. We realize outdated content not only negatively effects users but can in turn dilute the businesses customer base through desertion. Because Online Marketing is part of the plan. When it comes to websites, all too often businesses and individuals focus too heavily on the message and not so much on delivery and promotion. We'll keep key marketing ideas around so you wont forget t promote that awesome project we've created together. Moore Media has implemented search engine optimization (SEO) campaigns focusing on organic SEO, Pay Per Click, Article Submission, social media marketing and reciprocal link exchanges to name a few. We stay abreast of the changing algorithms of search engines and new SEO techniques and help facilitate success for the clients vision and goals. All in all, you’ll find us easy to work with, fair and flexible to your needs and above all commited to quality and standing out. Click below to get a quote. 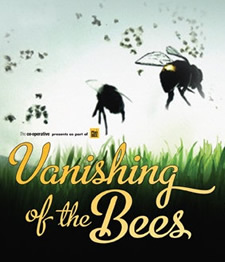 This documentary examines the alarming disappearance of honeybees and the greater meaning it holds about the relationship between mankind and mother earth. As scientists puzzle over the cause, organic beekeepers indicate alternative reasons for this tragic loss. Conflicting options abound and after years of research, a definitive answer has not been found to this harrowing mystery.